Copyright, 1894, by E. Clark Reed. Words and Music by E. Clark Reed. As we try in vain to make them plain, 'tis like op'ning the chestnut burr. 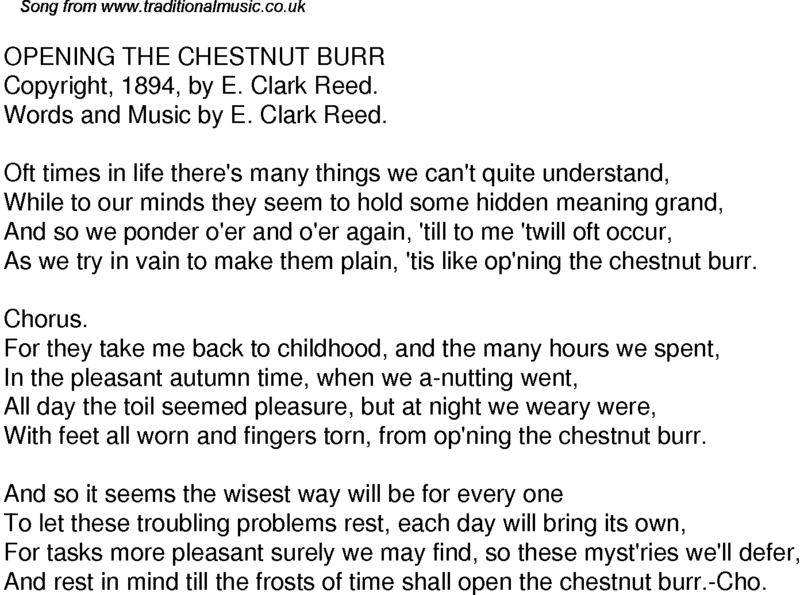 With feet all worn and fingers torn, from op'ning the chestnut burr. And rest in mind till the frosts of time shall open the chestnut burr.-Cho.